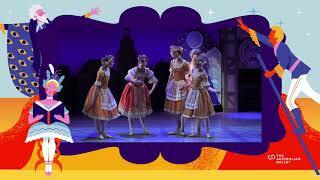 Storytime Ballet is an enchanting dance experience that is brought to life as an interactive, narrated show created especially for young children. Kids are inspired by the delightful storytelling, graceful dancing and treasure trove of costumes and trinkets. Join the narrator Dr Coppelius and young lovers Swanilda and Franz, as they sneak into the magician’s mysterious workshop and discover the secrets of his mechanical dolls. Running for under an hour, children are fully immersed in the story and help make the magic happen on stage!